Today we’re happy to reveal that Redbox Instant by Verizon will be coming to Xbox 360 in the very near future. If you are currently a Redbox Instant beta participant, you’ll receive an email with a unique code to access the app on Xbox 360 in the coming days. Interested newcomers to the Redbox Instant beta can request entry into the beta by visiting www.RedboxInstant.com. 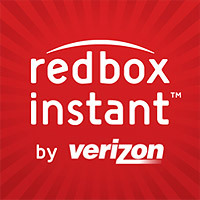 Xbox 360 is the exclusive gaming console launch partner for Redbox Instant by Verizon. A Redbox Instant by Verizon subscription package, priced at $8 per month for DVD or $9 per month for Blu-ray, combines four one-night credits for the latest movie releases at Redbox kiosks with access to a great catalogue of popular movies available for unlimited streaming. Through the app, Xbox 360 movie fans can also purchase and rent the newest digital releases without needing a subscription. Redbox Instant by Verizon combines disc + subscription, purchase and rental viewing choices into a compelling destination so movie fans can always find a movie to enjoy. Stay tuned for more information as we get closer to launch. *Xbox LIVE Gold subscription and/or additional subscriptions/fees including a Redbox Instant by Verizon subscription may be required and sold separately. Kinect functionality available with select Xbox LIVE content and varies by feature and country. For additional details and availability, see http://www.xbox.com/live.